There are a great many areas of the tour guiding business about which I would gladly take advice from my London Walks colleague Simon Law – The Law Man, we call him here at The Daily Constitutional. 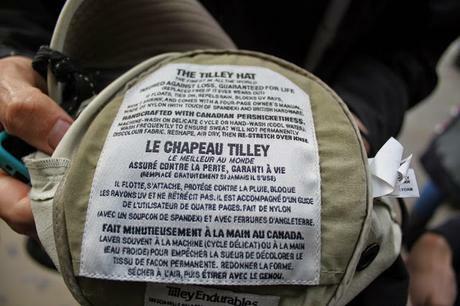 But the very best tip The Law Man ever gave me was to get ahead by getting a hat – a Tilley to be precise. Mine came out of the cupboard yesterday on the first sunny day of the year. It still had a 10 Euro note in the secret pocket inside the crown from my summer hols in Catalonia last year. Ever since taking Simon's advice I have enjoyed many encounters while leading London Walks tours with fellow Tilley-wearers from across the globe. We recognize each other. It's like a club. Each hat has a story that each wearer is eager to share. I'm reblogging Simon's original post here (from 2014), and having since joined the club I can now echo his sentiments. Get a Tilley! Simon & Tilley – What A Double Act! The weather is changeable. The hat remains a constant. "It's a Tilley," Simon explained to me one morning at Westminster Underground station as we waited for our group of students to arrive for their walking tour. He said the word "Tilley" with the same tone as he would have said, "It's a Rolls Royce" or "It's a Rolex", i.e. a tone brooking no nonsense. "It's waterproof for showers," he added, "and ventilated for the sunshine. 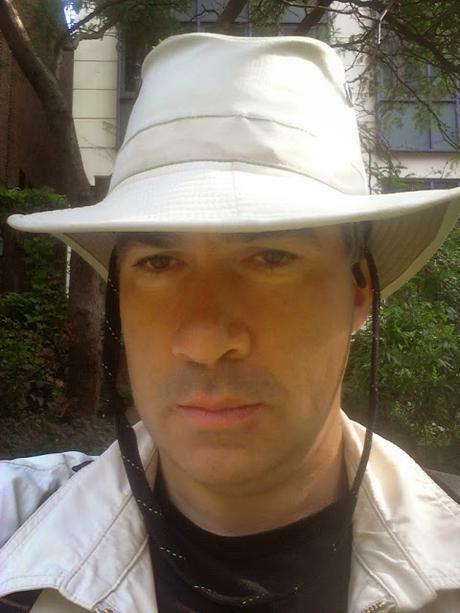 It's the best summer hat in the world." "Handcrafted with Canadian Persnickitiness." What's not to love? It's even guaranteed against loss! Do you have a favorite hat to recommend? Drop us a line at the usual address. Simon is James Bond material. He's tall, dark, and easier on the eyes than Pierce Brosnan. Let alone brainier. 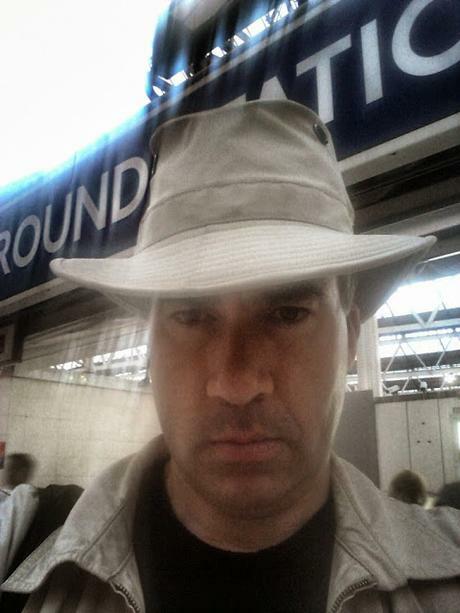 This is an actor who's tri-lingual, who's lived in Asia and South America, and, for good measure, is a top flight professionally qualified London Blue Badge, Southeast England and Cambridge Guide. And he's also a very nice guy. And as a guide - well, they don't come any better.